Careers - W.B. Guimarin & Co., Inc. - W.B. Guimarin & Co., Inc.
At W.B. Guimarin we take pride in caring for our employees. When you begin your work relationship with us we do everything in our power to ensure you are prepared by offering continuing education. The mechanical contracting field changes rapidly and we offer avenues for each of our employees to grow. 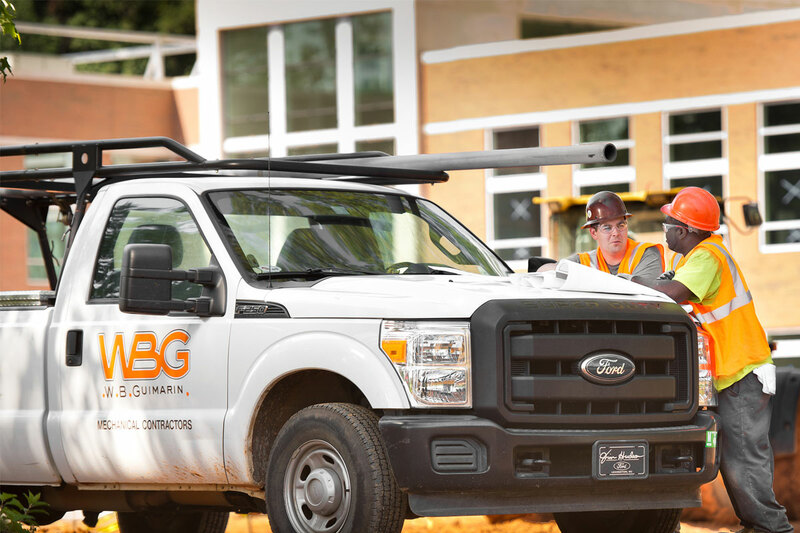 W.B Guimarin, one of South Carolina’s largest, is a family-owned full-service Mechanical Contractor’s with over 100 years of continuous service. We offer competitive benefit packages, a strong team environment, and on-going training. “Equal Employment Opportunity Employer – minority/female/veteran/disabled.” We are a Drug-Free Workplace.